Caption: A Monarch Butterfly (Danaus Plexippus) dries out its wings on an Obedient Plant (Physostegia virginiana). I have not witnessed any monarchs sucking nectar from the obedient plant, but this particular plant provides a great space for the monarch to dry its wings because it enables her to hang her wings down. This is important so that the hemolymph(blood) can be pumped through the wings and they can dry. The wings won't dry properly if the butterfly is placed on top of the flower. 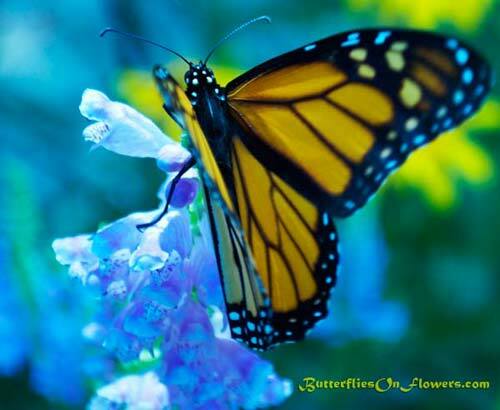 Facts about Butterflies: It takes the newly hatched monarch 3-4 hours for its wings to dry. It can take longer if it is cool or cloudy.